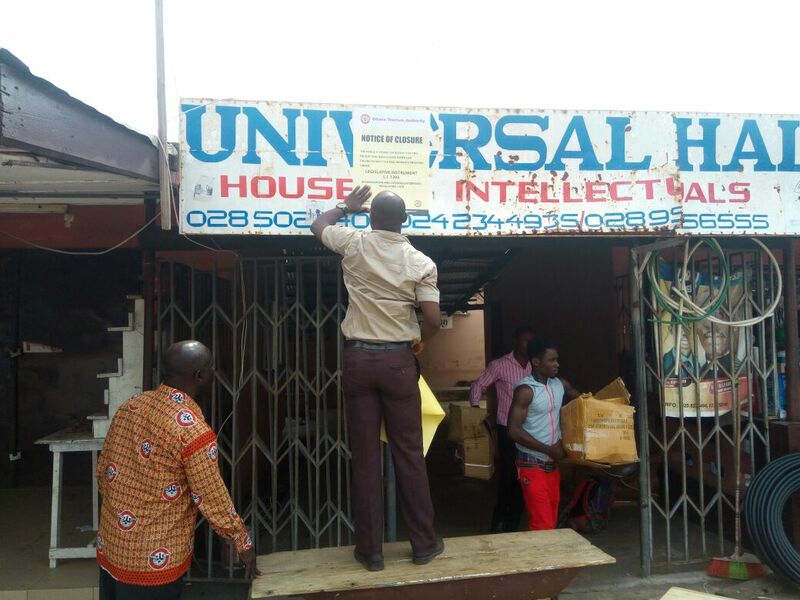 Students of K’dua Technical University To Hassle For Hostel Accommodation As GTA Shuts Down 15 Hostels. Students of Koforidua Technical University, KTU, are expected to hassle for hostel accommodations when School re-opens on February 10. This is because ,the Ghana Tourism Authority in the Eastern region on Monday commenced closing down some illegal student hostels and Hotels in the region. 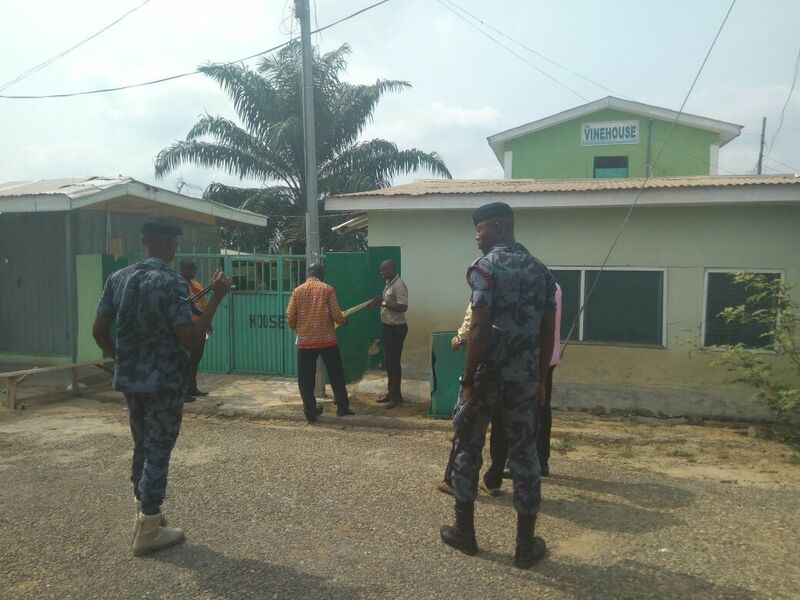 Fifteen hostels in Koforidua and a hotel in Akropong -Akuapem are expected to be shut down by close of the exercise on Tuesday . The facilities are operating without license by the Ghana Tourism Authority contrary to the Tourism Act of 2011 (Act 817) hence the closures. The students hostels shut down on Monday are Vine Yard ,Lincoln ,Universal ,Mr.Doe ,Sir Joe and,Elite hostels . 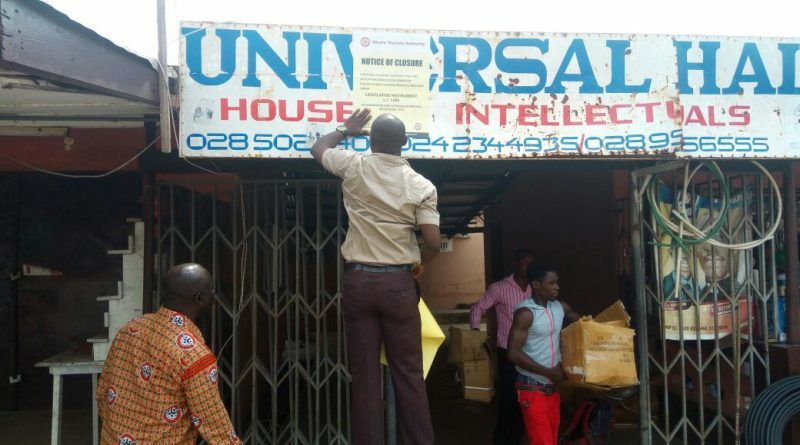 Others expected to be closed down on Tuesday are Solo ,Helleluyah ,Rising Bell,Madiba,Front line ,Hostel 99,Stella ,Central ,Pacesetters ,and Supreme Hostel all located in Koforidua.Provision of Private Hostel facilities has become a lucrative venture which many landlords and investors have ventured into the business without recourse to standards. The private Hostels provide accommodation for students mostly from Koforidua Technical University augmenting the accommodation stress facing Institution due to lack of inadequate student hostels for students admitted . This means that,students may struggle to have hostel accommodation when school re-opens next week. This will have a toll on the students should Managers of the hostels fail to obtain the legitimate license to operate their facility . “For you to operate any accommodation establishment you have to fulfill some statutory obligations ,the first thing is to come to Ghana Tourism Authority ,purchase a Registeration form after which you are given a stipulated Registeration fee to pay .The Registeration fee will depend on a number of rooms that you have and category of the facility you operate “. Mr.Adjei – Rudolf further explained that, “After that,you need to submit documents from various agencies of state such as the Fire Service ,the EPA, Police Service ,Environmental Health Division of the District Assembly, EPA would have to certify you ,Town and Country would have to certify you ,have a building permit ,so when all these agencies certify that you are in good standing with them and you finish the Registeration then we come in to inspect and you meet all the requirement then we give you the license to operate “. According to the Regional Manager , those with license are only expected to renew them yearly. He said ,the Eastern regional branch of the Ghana Tourism Authority is going to fully enforce tourism regulations to ensure strict compliance.